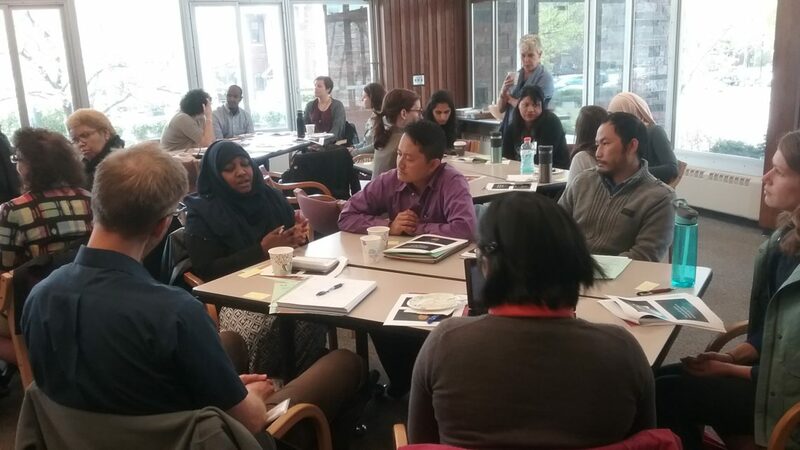 WellShare International hosted a free Community Health Worker Network training on the topic of “Intergenerational Strategy – Generations Working Together to Promote Lifelong Health” on April 28, 2017 for 34 health professionals. The training was led by Nancy Henkin, Senior Fellow at Generations United and founder of The Intergenerational Center at Temple University in Philadelphia. At the end of the training, all participants received a certificate and joined a free networking lunch. This activity is made possible by a grant from the Eliminating Health Disparities Initiative (EHDI) of the Minnesota Department of Health’s Office of Minority and Multicultural Health, through an appropriation from the Minnesota State Legislature.